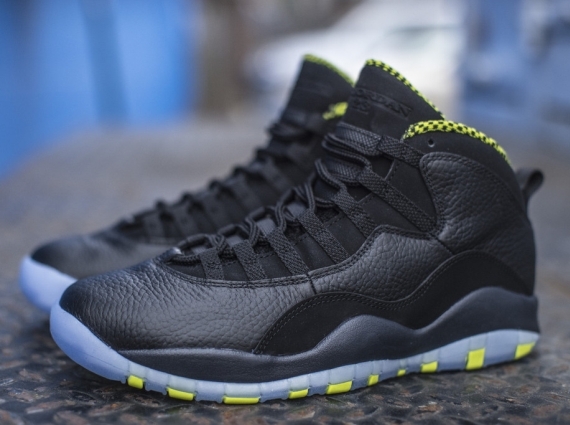 The Air Jordan 10 “Venom Green” will arrive in stores tomorrow. Before they show up and their retail chapter is complete, let’s not forget about the little bit of confusion that accompanied the sneakers on the way to their eventual release. The first up images of the shoes had an opaque outsole, but when they started to make their way to the hands of the standard group of early-sneaker folk they had the icy treatment. 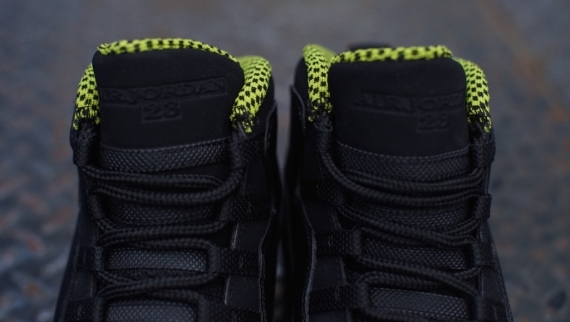 And it’s that icy treatment that will be available on the shoes when they debut tomorrow at spots like Oneness. 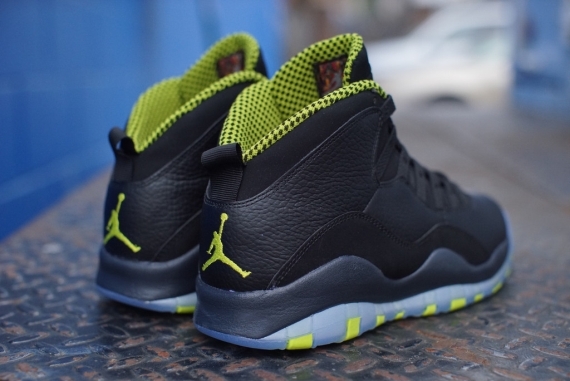 Continue reading to get extra images for this new Air Jordan 10 colorway and then see what you can grab now on eBay.